There is no reason for the U.S. to be in such a slow recovery from the financial crisis of 2008. If President Obama would get out of the way, our national debt could be dramatically reduced and hundreds of thousands of jobs would be created in the nation’s energy sector, leading to the expansion of its manufacturing sector and still more jobs. Jobs for younger workers would increase because 50 percent (50%) of the oil and natural gas industry’s skilled workers could be retiring within a decade. Pro-development policies would fuel a renaissance in manufacturing as lower energy prices would reduce out-sourcing and attract manufacturers to build and expand facilities in the U.S.
One factor stands in the way of this brighter economic future and that is President Obama and those who direct the work of the Environmental Protection Agency—an enemy of the coal industry—and the Department of the Interior which has slowed the provision of leases to energy companies to expand the discovery and extraction of energy resources. Energy industries already send $85 million a day to the U.S. Treasury in income taxes, royalty payments, and other fees. Obama, though, wants to raise the nation’s borrowing limits after having added six trillion dollars in debt in his first term. It was Obama who wasted a trillion dollars on a failed “stimulus”, discovering belatedly that there were few “shovel-ready” jobs while at the same time wasting billions in loans to wind and solar companies that went into bankruptcy shortly after receiving them. Thanks to the EPA 153 coal-fired plants have been shut down! What the public is not told is that the coal-fueled electric sector has invested $110 billion in a variety of clean coal technologies that reduced emissions by 90% and intends, over the next decade, to spend $100 billion more. Even so, the EPA continues to issue rules—New Source Performance Standard—that make operating coal-fired plants too costly to operate. The Obama administration’s justification for its policies is the bogus claim that carbon dioxide (CO2) is responsible for “global warming” or “climate change” when it plays NO role whatever regarding the Earth’s climate. The same lies the Obama and Democrats in Congress, as well as the Health and Human Services department told Americans about the Affordable Health Act are reflected in their lies about the nation’s energy sector. 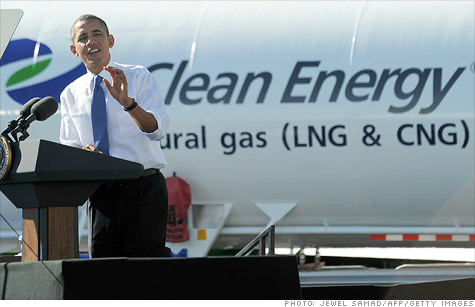 Obama has been waging a war on America’s energy needs and the benefits that would result from its expansion. Until Obama leaves office and voters remove the opponents of the nation’s energy sector, the enormous benefits to Americans in jobs and debt reduction will not occur.